The only way to combat the unpredictable Winter weather is to tackle the art of layering. Our SS16 Pre collection utilises chunky textured knitwear, bold patterned shirts and functional, military influenced outerwear, to create the perfect colour and fabric contrasts for stylish layered outfits. 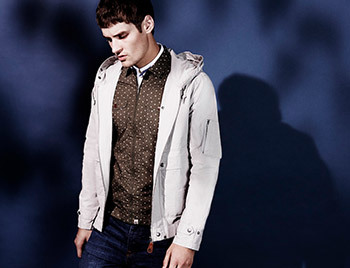 To help you along your way we have created our guide to smart and casual layering. The base layer is the starting point and probably the most important layer, providing the foundation to the look. 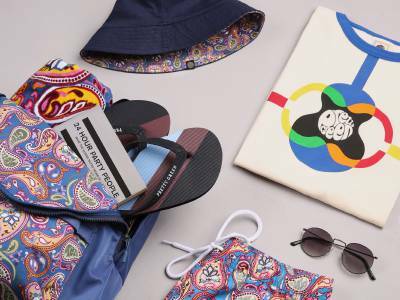 Smarten up by adding in a shirt as your base layer or for a casual day keep it simple with a colourful printed tee or polo. The secondary layer provides an extra layer of insulation when the temperatures really drop. Layer up a tshirt with a chunky knitted jumper or add in an overshirt to provide that extra warmth. Layering jacket over jacket provides the ultimate amount of warmth and versatility, allowing you the ability to whip off the coat if you’re heading to the bar or layer it up when you’re off to brave the outdoors. This layer requires ultimate insulation as well as style. Protect from the elements with a Wax Coated Wren Jacket or layer over one of our signature Parkas each with individual protection qualities. It’s the little details that make the outfit. 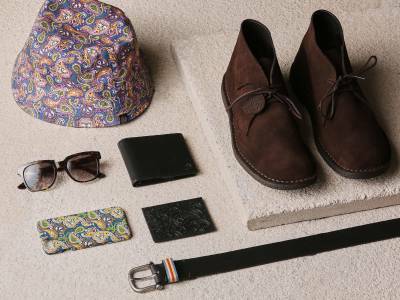 Complete the look with some PG accessories.